I know, I know. When you think of the tracksuit trend, you think, most appropriate for the gym.You're right but hey, I never work out but I still like to rock a good tracksuit ever so often.So here's a weekend wear idea for you if you just like to be nice and comfortable. How to wear a tracksuit. So I own a few tracksuits and I often just wear them any chance I get. I know people say they are the laziest kinds of outfits you know.Sweatshirts, joggers but they don't have to be. 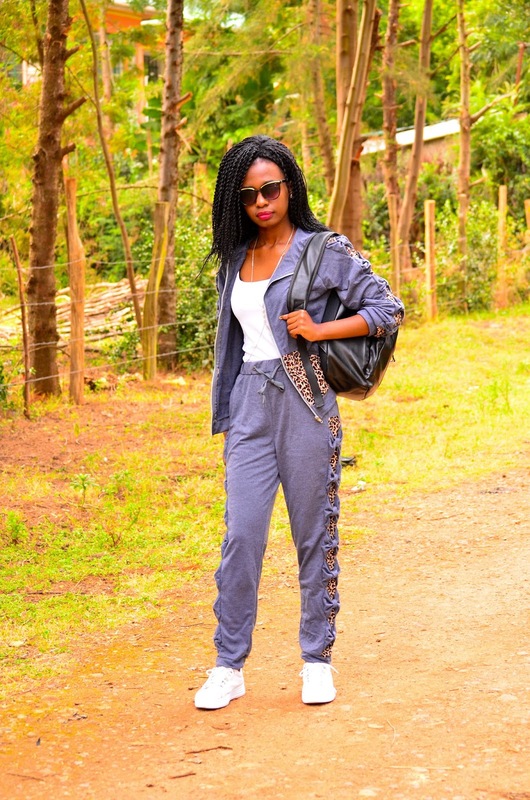 I got my tracksuit from Zaful last year and I really love it because despite being just what it is, it has a stylish element to it. 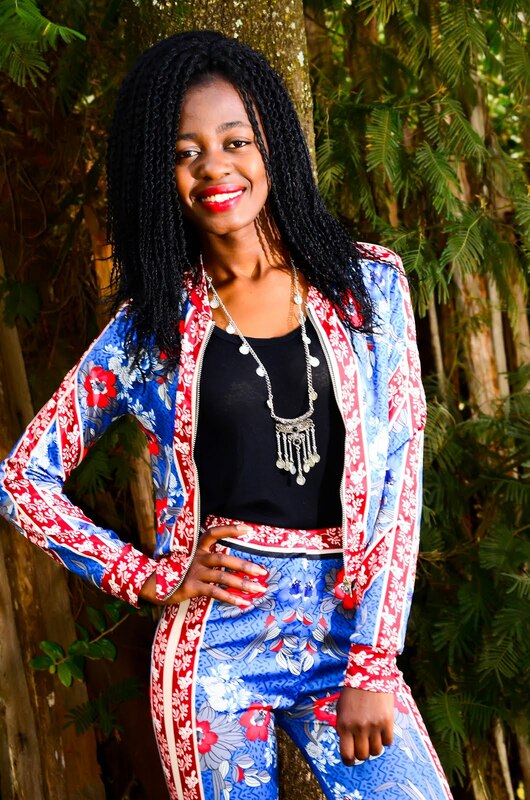 It has an animal print detail added o. the jacket as well as the sides of the pants. Other than that, it has some cute bows on the sleeves and pants. 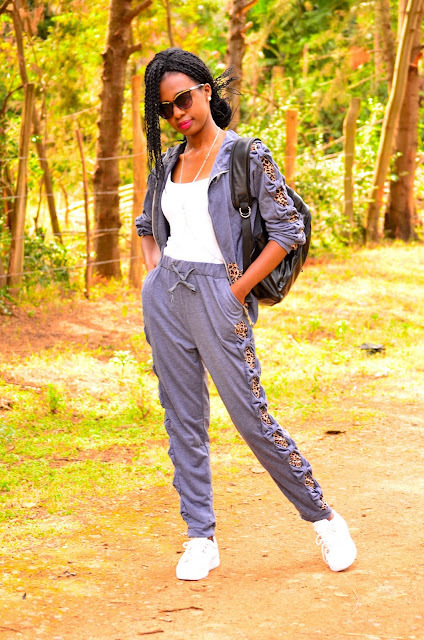 So how does the tracksuit trend become a weekend wear idea? Well, nothing too fancy.In fact, just the basic way.I decided to rock the tracksuit trend by wearing my Zaful tracksuit with my white sneakers and a white tank. If you don't want to look lazy, just go for a cool pair of sneakers. Good quality that stand out.Also, a nice white, basic tank top will do.That way, you can leave the jacket unzipped . I also went for a body chain, a very simple one and this cool backpack I bought from Gamiss. 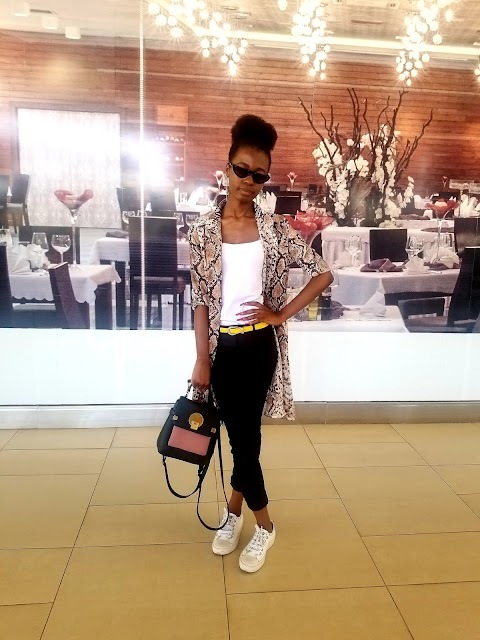 So to complete this look, I decided to throw on a black pair of sunglasses, just a simple pair. and had this hairdo that I honestly really loved and still love.Always do your hair properly, to avoid looking lazy. 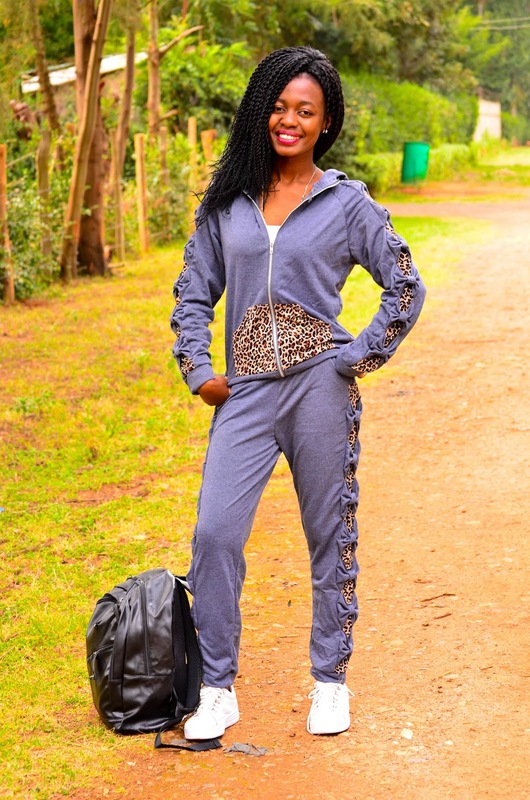 If you ask me, I don't think this as a weekend wear idea looks lazy.I confidently wear my tracksuits on weekends, maybe not that often,but I love them. I go mostly for blues but this grey number, I certainly don't mind. 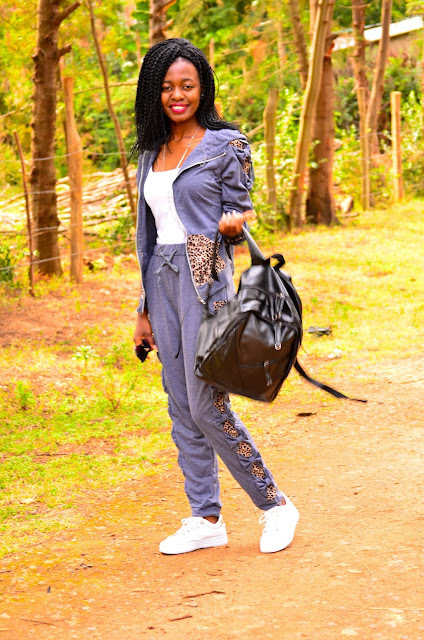 Remember, you can always wear a tracksuit with heels a fancy bag to make the look chic. You could also just switch the sneakers for some booties , fold the sleeves and throw on a bakerboy har for an even cooler casual vibe. Pretty nice tracksuit colour and style. It's good you wore it with white tank top and sneakers, they really look good together. I adore the cool tracksuit Sophie! The leopard details are so fun. Loving this color on you and the detail of this tracksuit is so good too. oh so cute!! 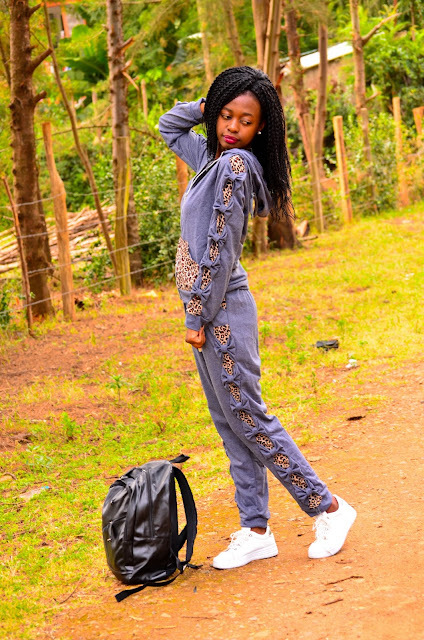 I love the leopard details on this sweatsuit set! 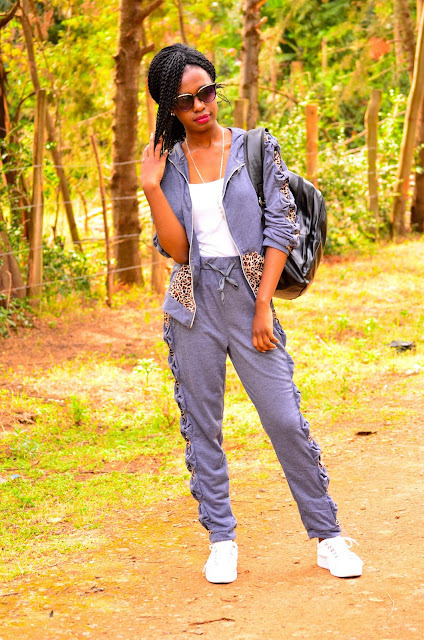 This is such a cool tracksuit ensemble, the leopard print detailing makes it stand out! Love this tracksuit on you! You look amazing! 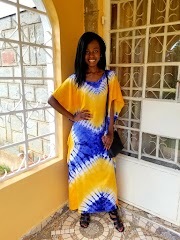 This is the perfect weekend wear! Love it! 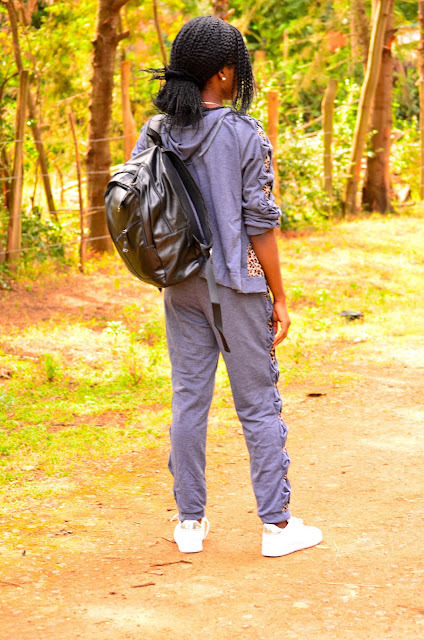 Fab and sassy tracksuit dear! Love it! My favourite shot of this tracksuit is the one with the unzipped hoodie to showcase the chain and with your hands in your pocket - so cool. 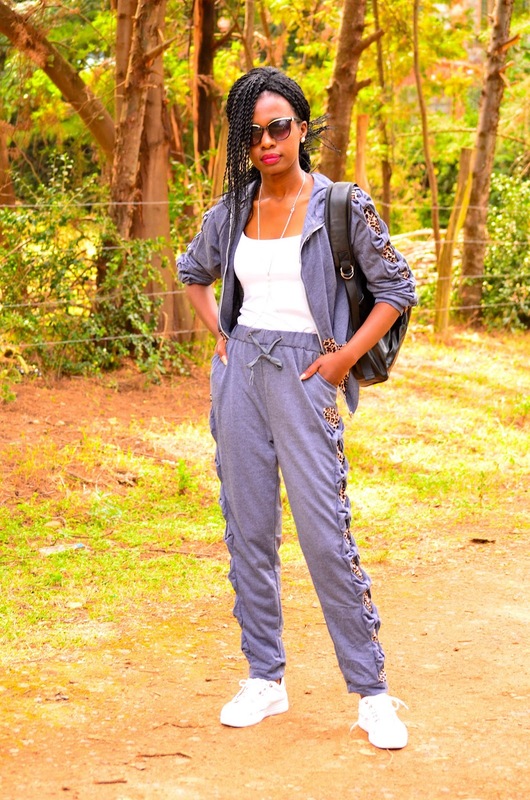 Oh yes track suits are having a moment, thanks to the 90s trend. This one is fun in the lavender color with the leopard print details and looks great with the sneakers. 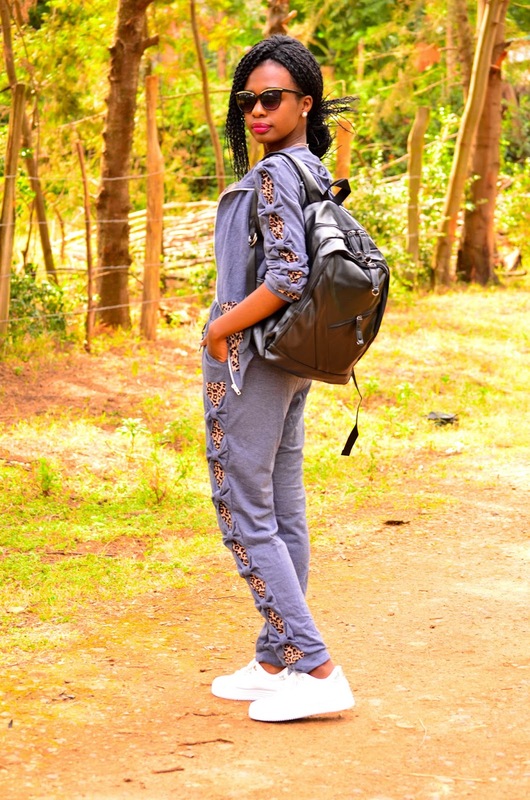 You proved that tracksuits are no longer a sports accessory but rather an essential piece of kit. 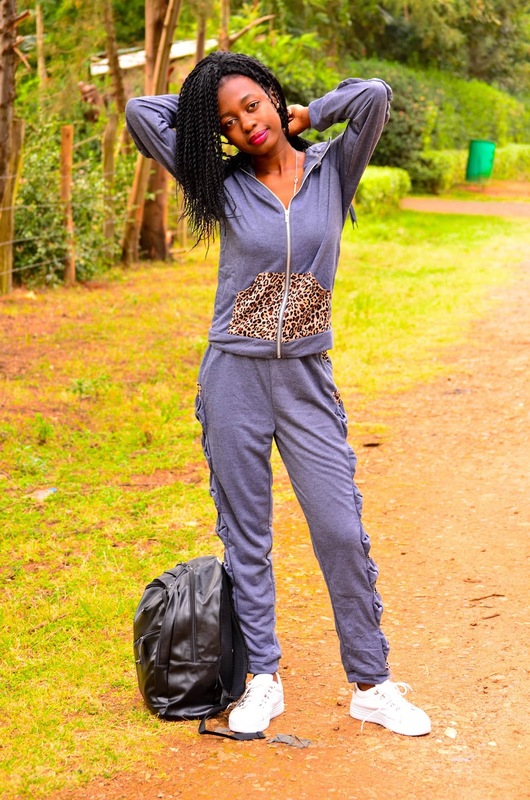 love the leopard print detail on your track suit. You look fantastic. This styling is simply perfect.